GOD, PCOS, ACUPUNCTURE, OVARIAN CYSTS GONE! Hi, I am Mary Fisher, 33, and I will write my testimonial to give hope to all my fellow PCOS sufferers. God healed me (via Doctors & other methods) and this is my story. I got my first period at age 13 (1995) and it lasted for 5 days. After that I have gotten four periods a year from ages 13-20. The doctors all said the same thing, “Oh, it will eventually regulate itself.” At the age of 20, while I was in college, I got to the point where I was just sick and tired of having a period that I could never predict and then it would always appear at the least opportune moment. My PCOS symptoms were as follows: cysts on the ovaries, acne, hirsutism, weight around the mid-section, pelvic pain, painful periods, irregular periods, hair loss (occasionally), mood swings (randomly), elevated androgens (male hormones), insulin resistance, etc. At times, I just felt off balance when the hormones would do their thing. Picking up from my timeline, at the age of 20, I went to see a GYN (for the first time), and without performing any tests, she immediately put me on birth control (BC). For the first time in my life, I had a 28-day menstrual cycle and I was super happy. I stayed on BC from age 20 to about 24. Then, I took myself off of it to see if my cycles had regulated by then. When I came off, I did not get a period for 13 months (over a year) and this was when I felt that deep gut feeling that something was wrong. By this time, I was living in a new state (I moved after I graduated from college). My female boss at my new job at the time recommended her GYN to me, as she had been rated to be one of the best in the U.S.
Well, I made my appointment and went to see her. She was super thorough, which I liked and she did a ton of tests on me. Finally, at the age of 25, this was the first doctor to diagnose my PCOS. To be honest, it felt like a cancer diagnosis. I had no idea what PCOS was and when she mentioned that there was no cure for it, it made me think, “Wow, is this how I am going to die?” I started crying in her office as my knees buckled beneath me. She consoled me and told me that she can prescribe BC to help with my symptoms and PCOS. My ignorance about PCOS at the time, agreed with my GYN to go back on BC. From ages 25-27, while on BC, I decided to do my own personal PCOS research. 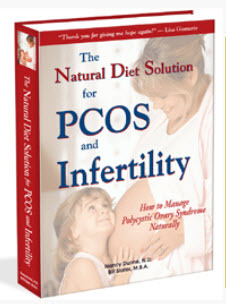 During my research, I came across this book, "The Natural Diet Solution for PCOS & Infertility" by Nancy Dunne and Bill Slater. This book has been a blessing to me. I call it my PCOS bible (haha). I read it from cover to cover and started to implement the diet and exercise changes. Thanks to Nancy and Bill for writing this book. If you have this book, please read it from cover to cover. If you do not have this book, go google it or amazon it, then buy it right now. This will change your life. At the age of 28, still single and no kids, I decided to conduct my own personal experiments. I tried everything out there I saw online, some worked, others did not. I was now at a point of frustration (and I must confess that I had not fully implemented ALL the diet and exercise changes in the book at the time). I loved SUGAR way too much and just was not ready to let go. I will fast forward my story so that you will not fall asleep before I get to the best part. At 29 years old, I decided to go to a Naturopathic Doctor who specializes in PCOS (yes, they do exist). I cried tears of joy when I found this doctor. To back track for a quick minute, the only supplement I took between ages 18 and 29 was a daily multi-vitamin. This Naturopathic Doctor was well-known on the East Coast (where I live) and had many accolades to her name. She ran a barrage of tests (super detailed and thorough). Based on the results, she pointed out to me where exactly all my hormone levels were at and all of my supplements levels. Based on this report, she developed a stress management, exercise plan, supplements plan and a dietary plan for me. In a nutshell, I started taking the following supplements: Vit D3, Vit E, biotin, calcium, magnesium, iron, fish oil and milk thistle. I started working out 3-4 times a week, I changed my diet to 100% organic and low-GI foods, I did several body/organ detoxes, as well as, I avoided stress in every way possible. I have been going to her for the past 4 years and I have seen my period go from non-existent after BC to every 4 months, to every 3.5 months to every 3 months, to every 2.5 months to 2 months. All this happened between ages 29 and 32. I hit a plateau at the 2-month mark and wanted it to so badly go down to 1 month (so close that I could taste it … Huh). After hitting a plateau, I still continue to go to that Naturopathic Doc (even now as I write this testimonial - 8/19/15). 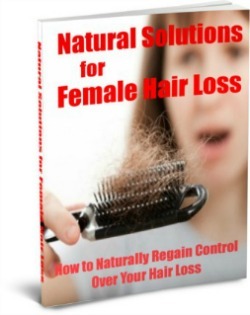 She is a God-sent that has helped me to naturally eliminate the majority of my PCOS symptoms mentioned above. My “new research” mentioned acupuncture. I am TERRIFIED of needles but desperate times call for desperate measures so I decided to give it a try. I strongly believe that the acupuncture and Chinese herbs played an integral role. My previous ultrasound was March 2014 and all the cysts were there then. The only thing I did differently within a year was acupuncture and herbs. Also, I now get my period every 35 days. According to doctors, that’s now considered a normal cycle. Good luck and never give up! 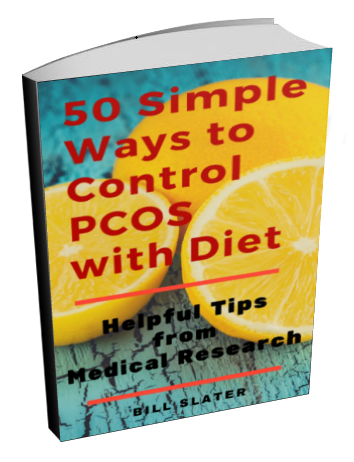 Persistency and consistency are key factors to managing/eliminating your PCOS. Comments for GOD, PCOS, ACUPUNCTURE, OVARIAN CYSTS GONE! Hope you are well. There are growing organizations now that are trying to bring PCOS awareness. I think most MDs shy away from it because they don't really understand what causes PCOS and how to treat it. Hence, they give you a bandaid (BC pills). Some insurance plans now cover acupuncture. Maybe you can look into that or setup a FSA and use those funds for holistic care. Hope you are well. Yes, I take fish oil and vitex daily. It does help with regulating my monthly cycle. I did not realize how effective these two supplements were until I went on a trip and mistakenly forgot to take them with me. Not having them caused my period to come 5 days later than the norm. All the best with everything. Thanks for your comment. I greatly appreciate it. I am so HAPPY to hear that my article encouraged you. I hope your daughter will be able to benefit from it also. Please do keep me posted. Feel free to ask Bill Slater for my personal email address and keep in touch. My Naturopathic doc is in Washington, DC. For supplements, I buy them at a regular vitamin store. You can try Vitamin shoppe or GNC. I don't know of any naturopathic doctors in Kenya. Click here to find licensed naturopathic doctors in the United States. 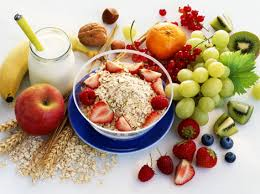 We don't currently offer nutritional supplements to countries other than the United States. Thanks for your article. Many of the women in my family suffer from PCOS including both grandmothers, my Mother, my Aunt, several cousins, one of my Sisters, myself, and my daughter. Each of us have a different set of symptoms, but I feel certain it is PCOS for all of us. I feel terrible for my daughter that she has inherited this curse from me! I went on BC at about thirteen to regulate my periods. I started gaining weight at age eight. By ten years old I was 105 pounds. I had terrible acne. I was not diagnosed with PCOS until I was 49 years old. I think I read Nancy Dunne and Slater's book several years ago. 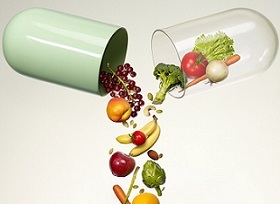 I have been to many doctors, been on more diets than I can count, lost and gained more weight than I can count, taken hundreds of different supplements all in an effort to try to beat the PCOS curse. Even though I am now off of all wheat and corn I cannot seem to keep the weight off. I live on a very restricted diet, and try to eat many vegetables. I am post menopausal now, but that has not helped with the weight problem. I have recently been diagnosed with adrenal fatigue syndrome. My readings are flat line. I have been on all kinds of protocols, supplements, and distressing techniques trying to get my adrenals to resurrect. I am a professional musician, so I punch my adrenals on a regular basis performing. A friend recently recommended that I try some acupuncture. I have set up an appointment, and am hoping for the best. Your story is encouraging me that I may get some results from seeing an acupuncturist. I will also ask him about herbs. I already asked if he deals with adrenal fatigue, obesity and metabolic syndrome, and he confirmed this. If this works for me, I may try to get my daughter to go. She is in worse shape than I was at her age. She weighs more than I do, and she is only 20! Hi. I use a herb tablet called vítex and I use fish oil. I'm 50 and I discovered this a bit late like 8 years ago. But it really works for your monthly period. I don't have that problem anymore, thank GOD. Wish I had known back then! I wish I had read your story when I was in my early 20's I had a similar experience of being put on BC pills for years. Nothing else was recommended to me. I tried going to a naturopath but it was expensive and hard for me as a student to keep paying the money. I wish there had been doctors back then that had some more natural solutions to PCOS instead of just prescribing BC pills for years on end! I replied a few times to your email but it bounced back all three times. Not sure why. Please send me a test email when you can. No worries. You are not being a bother. I'm happy to help!!! Always! Please ask Bill Slater for my email address and email me directly. That way I can get my acupuncturist involved too. Not to be a pest, but is it possible for you to share your herbal protocol with us, as another PCOSer asked? I tried them in my 20s and they didn't seem to help; I knew very little about my condition 17 years ago, though. There is one place here in Wilmington, DE near me called Chyrsalis that offers Chinese medicine and acupuncture, and I think if the doctors you mentioned could consult with me and/or them - and we could maybe mimic your herb protocol - perhaps my cysts would go away too! As you can see, we are all starving for information about what will help. And like many others I'm sure, I'm a faithful user of supplements from this site and others, and have yet to be able to "heal" myself. Thanks again, Mary! If it helps, I can supply my phone number or email address if you're able to share your protocol. Thank you Mary for sharing your story. I have PCOS and now my 21 year old daughter has it. I am in search for a doctor for her. I also live on the East Coast. Would you also share the information about Dr. K with me too. Thanks to this site for sharing Mary's story. Since diagnosed, I've shared research, web sites, books, doctor's protocols, recipes...and that's how we'll find a cure/help. Can you contact Mary and see if she'll e-mail/call me? I wanted to ask her the NDs info., AP's (allopathic physicians), and teas, Oriental medicines herbs to see if these are the same I've tried. I also live on the east coast and can benefit from a good ND. Chiroin was one herb AP's prescribe PCOSers. I'm also curious about healthy detoxes for us as no protein with a PCOSer was not recommended by my last ND. Since our support group has been non-active for some time, I lack that support and information we all provide. I could use Mary's protocol to compare with mine and maybe I can find that balance. I remember discussing Gerson therapy some time ago and started reading one of their books again and am considering some of their methods as my monthly cycles have been so painful for the last 4 years. I met with a few docs, chatted with old ones online, and discussed health regimes with a number of people, some with disappointment, a little hope, unsureness, and right now I'm worn out and have asked family for help. I think with 4 surgeries this year, that's why. Normally I deal with the pain and other issues, but surgery then recovery, no regular exercise, daily pain, rare outside time, then repeat. I've become less than myself. I could sure use Mary's information about now. Please feel free to give her my e-mail and phone number. (email and phone number removed for privacy reasons). Let me know if you have any detoxes you recommend, I have your book of course and please refer to any page that might help. TK - Sorry to hear about your illnesses. I wish you a speedy recovery. Yes, please do jump back on the "Fight PCOS" wagon. You can try all the things I tried and hopefully, it will give you as much success as it gave me. All the best! Never give up! Hannah - I pray that this will be the breakthrough you have been looking for (it certainly was for me). Dr. K. is a GREAT and AMAZING doctor! You will love her! She spends a lot of time talking to you and you will never feel rushed like with other doctors and she is very thorough and detailed. All the best! Check back here within 6 months to let us know how you're progressing. Bettina - That's AWESOME! 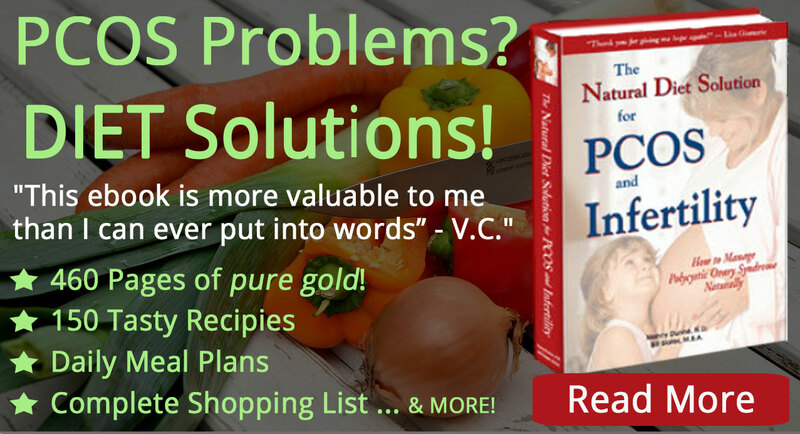 You found what works (vitex)! Laura - You are very welcome! Glad to hear you're getting results with those supplements. 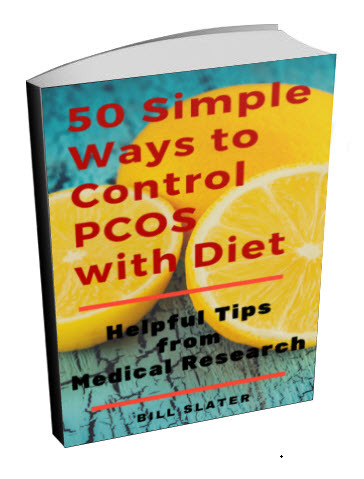 However, results can be highly variable among women with PCOS. Part of the reason why is that there is a HUGE variation in the quality and potency of herbal products. This is why nearly all of the herbal products in our online store have been thoroughly tested by independent laboratories for both purity and potency. In general DIM and vitex are helpful. And, according to resarch, the following other supplements can help to relieve PCOS problems: berberine, vitamin D, fish oil concentrate, NAC, inositol, d-pinitol, chromium, magnesium, green tea extract (just to name a few!). Thanks so much, Mary. It helps to know none of us are alone in this journey, even though it feels like it sometimes. Thank you for sharing this! This was pretty much my story and also made me struggle with infertility. And my hormonal cycle/period regulated from once every 3-4 months to every 28-30 days now! Has anybody else tried this and worked for them as well? I can't thank you enough for sharing your story. I have to say this is total God timing. I've been in the midst of some pretty big health decisions and have been saying for awhile that I wanted to meet with a homeopathic doctor as well. I also live in DC and just booked an appointment with Dr. Charlene at your recommendation. It has always been my pray that one day my cysts would be 100% gone and this gives me hope and motivation to pursue some of these non-traditional options. Great story! I'm just coming back to taking care of my health after a long stretch of stress and illness last winter and spring...it's very humbling and posts like this help. Sure, I do not mind sharing my doctors with you and others here. I wished someone had shared theirs with me 20 years ago. See below. Thanks. Mary - I am sooooo sorry. I really wish I could turn back the hands of time. 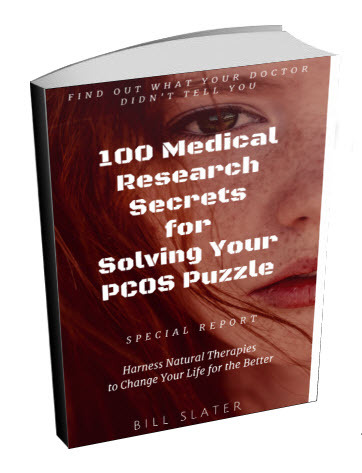 The real issue in the medical field 40,30,20 years ago, was that no one had and even to this day fully figured out what caused PCOS and how to cure PCOS. As a result, most doctors just put a bandaid on the problem by prescribing birth control. Please do try some of the things I mentioned in my testimonial. I wish you all the best! Inspirational -- I wish I had known this sooner! Your story was a great inspiration to me, I just wish I had this info about 40 years ago when they told me they suspected I had PCOS. I was just put on birth control and told to take it until my menopause years! And thanks to this site for the newsletter! Wow....Your story brings tears to my eyes. Wishing you all positive energy!! Your story is inspirational, thank you so much for sharing it. My journey has been similar - diagnosed at 21, was put on BC, now 37 and still not much better off with symptoms and such. Lost almost 100 lbs on the same diet by these two amazing people in 2009, but had my gallbladder removed in 2010 and gained it all back even though I stuck with the eating plan 100%. Now again trying to lose weight, take supplements and get my life back. Struggling w the mood swings and depression, though. It's frustrating. I'm also on the East Coast, are you able to share your doctors names and contact information with us? I'd like to try acupuncture, and am also looking into Reiki. Tried Chinese herbs in my early 20s and couldn't stand drinking them, but may be worth a try again. Any concrete direction you can give, I would appreciate. I'll check back here. Thanks again!